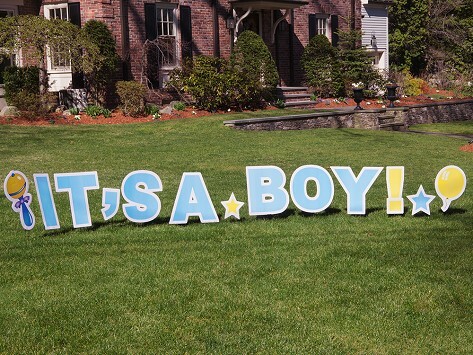 Tell the whole neighborhood “It’s A Boy!” with one cheerful lawn sign. It acts like a jumbo greeting card opened up on your yard—complete with blue and yellow stars, balloons, and rattle shapes. Stake it into the ground, and just like that, you can share your big news in a big way.